In the coming days, the first steps for the sales process by means of a call for tenders are expected to be taken. 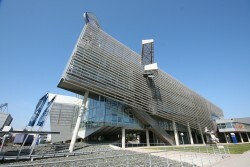 "The board has decided to start preparations for the sale", said the Chairman of the Supervisory Board, Johannes Ditz. The period estimated to conclude the sale is one year. The sale is however not strictly necessary, and would only occur if the price is right. The aim is a long-term new owner. The bank is expected to be profitable again before the sale contract is concluded, said CEO Gottwald Kranebitter. Ditz said that the bank will achieve the turnaround this year. This would give the employees the message that the Austrian subsidiary will be more stable again in the hands of a private owner. However, it is still considered as unlikely that a potential buyer will take over the whole bank. Rather, it should be assumed that the group would be split up, and for this reason a gradual sale process has been chosen. So far, the Kärntner Sparkasse, in which the Erste Group holds a 25% interest, and Bank Austria expressed interest in the Austrian subsidiary of the Hypo Group. The Carinthian regional bank BKS, however, said that it is not interested.